Come experience a unique marathon event atop the beautiful Laurel Highlands of southwestern Pennsylvania. Marathon on the Mountain will both challenge and inspire as you run through nature at the beautiful Seven Springs Mountain Resort. A half marathon and a marathon give you the distance that is right for you. Both races will take you past multiple ponds, along charming country lanes and through some of the most scenic woods in Pennsylvania. For those looking for a shorter race, we also have a 5K available. All courses utilize both ski trails and wooded hiking and biking paths that will take you deep into the forest. The race contains minimal hard surfaces and has very few road crossings. The marathon will make two laps of the picturesque course that starts and ends in front of the Foggy Goggle at the four-season Seven Springs Mountain Resort. Prizes will be awarded to the top three finishers, male and female in each race. All racers will get a tech shirt at packet pick-up as well as a finisher medal upon completion. Races will have multiple aid stations with water, and fruit. 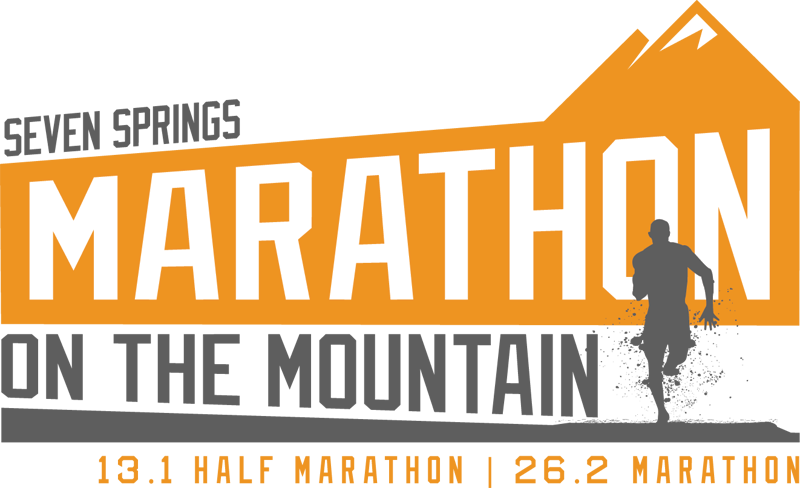 Both the full and half marathons will start at 8 a.m. with marathon particpants completing two laps of the course. The 5K will start at 8:10.